ALMATY -- Human rights and civil society activists are raising concerns over violations of women's rights in Central Asia, a pattern often linked to outdated conventions and laws that lack teeth. Such issues have included domestic violence, forced and arranged marriages, and bride kidnapping. About 400 women die each year from domestic violence in Kazakhstan, Aizhan Oshakbayeva, Human Rights Programme co-ordinator of the Almaty-based Soros Foundation-Kazakhstan, told Caravanserai. There were 91,631 crimes committed against women in Kazakhstan in 2017, she said. "Domestic violence toward women persists for a whole range of reasons," said Asiya Khairullina of Almaty, chairperson of the board of the Women's League of Creative Initiative and a member of the National Commission for Women, Family and Demographic Policy of Kazakhstan. "First of all, the stereotype persists to this day that a husband beats his wife because she ... provoked him," she told Caravanserai. "Second, women do not complain about their tormentors because family for them is dearer than justice," she said. "Third, law enforcement agencies tolerate [domestic violence], even if such complaints make it to them." The main violations of the law include bride kidnapping and forced marriages, Khairullina said. 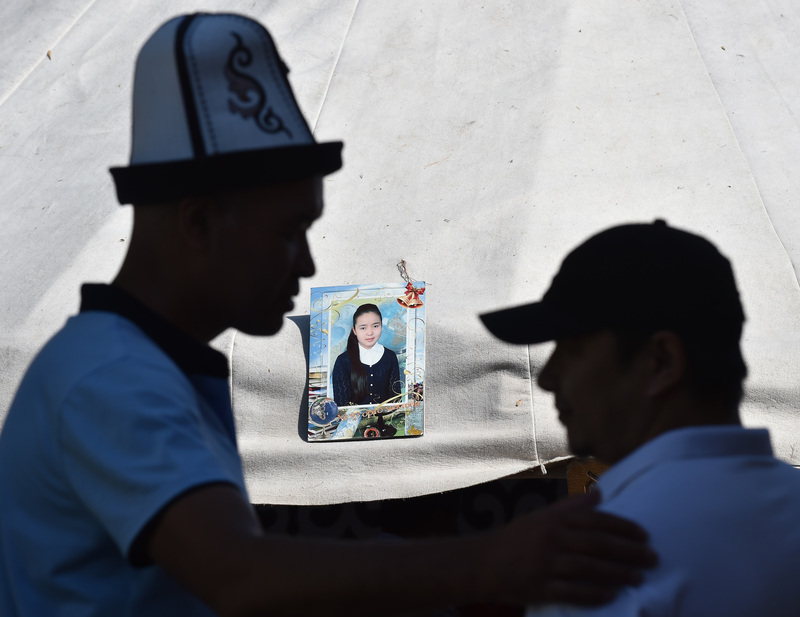 Any kidnapping is prohibited by Kazakh law, but abducting women for forced marriages remains a problem nationwide, she said. No official statistics on kidnappings for marriage exist because Kazakh law does not consider the crime separately from kidnappings in general, she said. Authorities have trouble prosecuting the offenders when women who fear social stigma refuse to give police a statement. Bride kidnapping occurs frequently in Kyrgyzstan even though it is punishable by law. 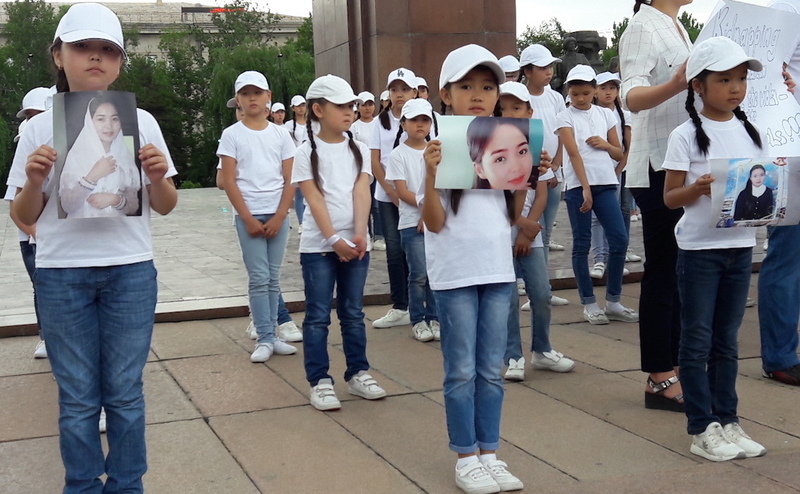 The murder of 20-year-old medical student Burulai Turdaaly Kyzy in Chui Province last month during a case of bride kidnapping sparked Bishkek demonstrations protesting violence against women. More than 20% of marriages in Kyrgyzstan result from kidnappings, according to the latest Health Ministry study, from 2012, said Umutai Dauletova of Bishkek, the country programmes gender co-ordinator for the UN Development Programme in Kyrgyzstan. The punishment for kidnapping someone for marriage is five to seven years in prison, she said, but most such cases remain unpunished as women stay silent. "In the past three years, only about 80 women have approached law enforcement with complaints about being forced into a marriage," Dauletova told Caravanserai. "But in practice, 70 of these proceedings halted at the stage of examining the statements. And of those complaints that reached court, a third were stopped by agreement of the parties," she said. Meanwhile, about 14% of women in Kyrgyzstan say they have experienced emotional abuse from their husbands and one in four women aged 15-49 have suffered from physical violence, according to Dauletova. The country is working on a new medical demographic study to learn about women's conditions across the country, she said. Although bride kidnappings are relatively rare in Tajikistan, women there are sometimes forced into marriage. Arranged marriages still occur in Tajikistan, said Firuza Nasyrova, head of the European Bank for Reconstruction and Development's Women in Business social programme in Tajikistan. "In the villages, this tradition has remained to this day," she told Caravanserai. "Two families agree to marry their young people to each other, and no one is interested in the girl's opinion." Domestic violence is the "number one" problem in Tajikistan, Fotima Sharipova of Panjakent, director of the Women of the East NGO, told Caravanserai. She corroborated the results of a recent study carried out by the Tajik-based human rights think tank Nota Bene. The law "On Prevention of Violence in the Family" was adopted in 2013, but 50% of Tajik women regularly suffer physical and psychological violence in their homes, the think tank reported last December. Domestic violence against women is the most widespread form of women's rights violations in Uzbekistan, said Nazifa Kamalova, director of Istiqbolli Avlod (Future Generation), an Uzbek human rights NGO. "According to independent observations, domestic violence is the most widespread form of violence toward women in Uzbekistan," Kamalova told Unhor.uz March 28. "Domestic violence is especially difficult to recognise because it pertains to a veiled phenomenon that is extremely dfficult to address as well as a human rights issue," she said. "The reason is the stranglehold of obsolete dogmas and concepts ... on the traditional national environment." Brides are not abducted in Uzbekistan, "but the problem of abridgment of women's rights does exist in our country," Nigora Ariftjanova, a mother of two from Tashkent, told Caravanserai. "A bride is exploited by her mother-in-law, her husband and his relatives. That's considered tradition," she said. International human rights organisations call out continuing problems of gender inequality and domestic violence in the region.